Today, the values transmitted in public schools are based on secular humanism. Why should Christian families, or families of any religion, be forced to swallow this? Former House Speaker Tip O'Neill famously observed, "All politics is local." We have a particularly sharp example in an upcoming school board election in Douglas County, Colorado, that has far reaching national implications. At issue is the Blaine Amendment, which appears in constitutions of 38 states. The Blaine Amendment prohibits appropriation of public funds to any religiously affiliated institution. Each state has its own wording for this provision, but the bottom line is the same in each state — no public money for anything having to do with religion. The Blaine Amendment issue at the center of the upcoming school board election in Douglas County is about parental school choice. In 2011, the Douglas County Board of Education unanimously voted to enact a school voucher program, establishing 500 vouchers that student recipients could use at any private school of their choice, including religious schools. The program was challenged by the nation's usual anti-religion crusaders — the ACLU and Americans United for Separation of Church and State. The legal challenge made its way to the Colorado Supreme Court, which ruled in 2015 against the voucher program, finding that it violated Colorado's Blaine Amendment. According to the court, the vouchers, which are financed with public funds, violate the Blaine Amendment when these vouchers are used by students to attend religiously affiliated schools. According to the court, 9 out of 10 students intending to use the vouchers planned to attend religious schools. Now elections are being held for a new school board in Douglas County. If a pro-school choice board is elected, the legal fight over vouchers and the Blaine Amendment will continue and most likely will wind up at the U.S. Supreme Court. The court would then rule on the constitutionality of using the Blaine Amendment to block using vouchers for religious schools. If an anti-voucher school board is elected, the voucher issue, for the time being, will die. A Supreme Court decision finding the Blaine Amendment an unconstitutional barrier to vouchers will nullify a major obstacle to school choice in the 38 states that have these amendments. Thus the sweeping national implications of one local school board election. Recent Supreme Court decisions touching both the Blaine Amendment and the issue of using school vouchers for religious schools suggest that indeed the Blaine Amendment obstacle would be demolished if the Supreme Court hears this case. In Zelman v. Simmons-Harris, the court decided in 2002 that use of vouchers for religious schools does not violate the First Amendment, which prohibits government-sanctioned religion. The court argued that vouchers enable private choice by parents. Thus, there is no direct government support of religious schools. The Blaine Amendment is named for Congressman James G. Blaine, who unsuccessfully introduced legislation in 1875 to amend the U.S. Constitution to prevent any use of public funds toward religious institutions. Despite the failure of Blaine's initiative to amend the Constitution, 38 states enacted the provision as part of their state constitutions. History is clear that Blaine's motives were not about religious freedom. It was an anti-Catholic initiative, meant to block the use of public funds for Catholic schools. 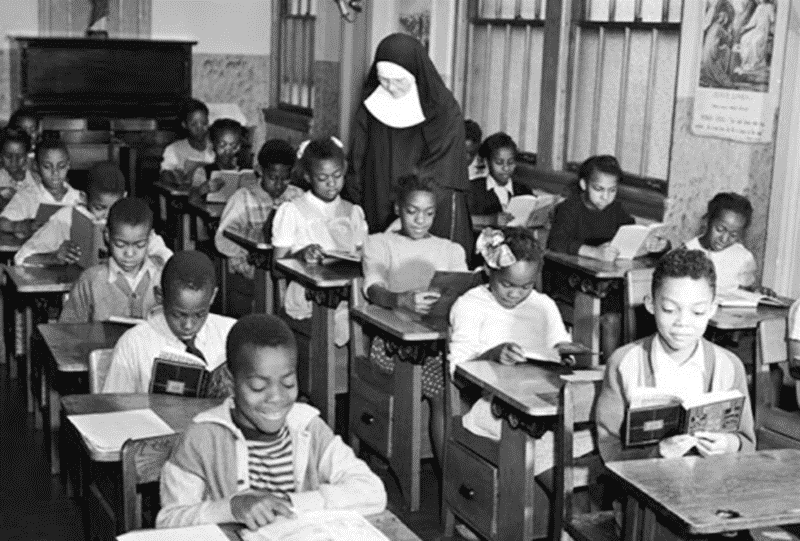 At the time, public schools weren't free of religion. Rather, the values defining public school curricula were Protestant. Today, the values transmitted in public schools are based on secular humanism. Why should Christian families, or families of any religion, be forced to swallow this? The only approach to education today that is consistent with the Constitution's guarantee of religious freedom is parental school choice, allowing parents to educate their children according to their own values. Let's hope those who can make a difference in this election will elect a pro-voucher board, for the good of Douglas Country and for the good of the nation.